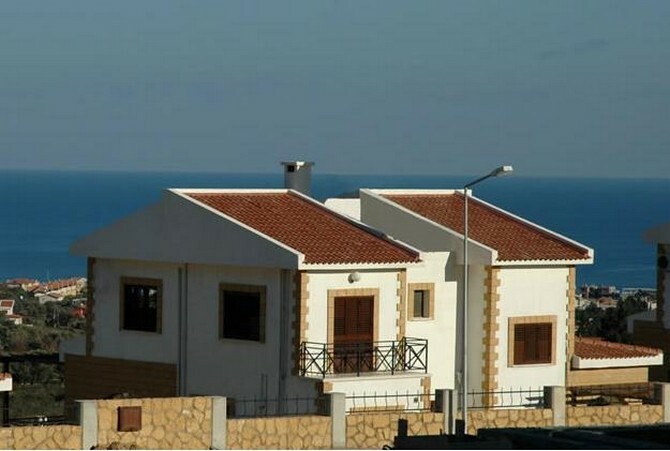 These beautiful North Cyprus Villas are located in a prestigious part of Lapta, with beautiful sea and mountain views and within easy reach of the Village centre. Slopes of the Kyrenia mountains offer homeowners the best views of the sea, coastline and mountains. The villas have uninterrupted views down to the coast while the wooded mountains rise directly behind. Lapta is a tranquil hill village, a short drive from Kyrenia with its deep history of the island built into the village houses and squares. Although already a favourite location to purchase a second home, the area suffers no loss of the scenic charm that has attracted so much interest. The villas (there are two types) are built to the highest specifications and are architecturally practical while being strikingly attractive. These properties are very ideal for a retirement and permanent home.